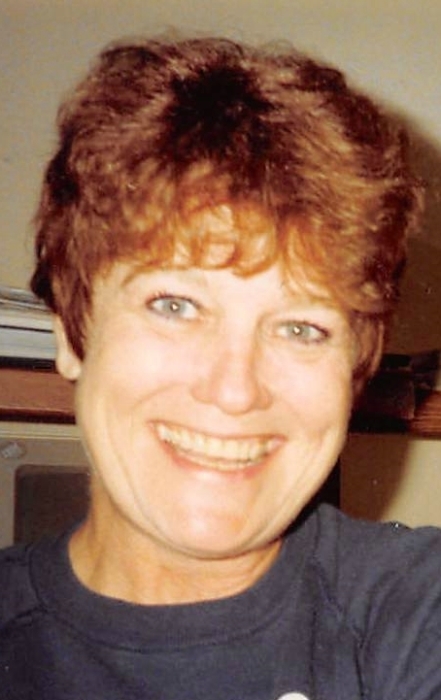 Helen Ruth “Crickette” Jansen, age 71 of Wheatland, Indiana; but formerly of Shawneetown, passed on from this life, April 6, 2019 in Vincennes, Indiana, after an extended illness. Crickette was born in Shawneetown, IL on January 28, 1948, to the late Alva Wolf and Anna Ruth (Milligan) Wolf. She graduated from Shawneetown High School and attended Southeastern Illinois College. She had retired as a business secretary. She loved her family so much and spent most of her time with her loved ones. She enjoyed playing cards and reading. She loved music and dancing and will be remembered by her beautiful smile and contagious laugh. She was a loving mother, grandmother, sister and friend and will be missed. Crickette is survived by 3 daughters, Tammy (Curt) Robinson of Wheatland, IN, Deborah Rodgers of Wheatland, IN, and Jessica (Jamie) Lyczak of Louisville, Ky. 2 brothers, Leonard Wolf of Shawneetown and John Wolf of Tennessee. 7 grandchildren, Jarrod, Joshua, Kira, Caleb, Kyle, Adam and Seth, 7 great Grandchildren, Lena, Holden, Brylee, Emilia, Jada, Kaitlyn and Mary Jo. Her beloved sister in law, Charlene Wolf. She was also preceded in death by her sisters, Anna Walker and Shelby Baldwin and brothers, James “Speck” Wolf and Alva Wolf, Jr.
Visitation for Crickette will be on Tuesday, April 9, 2019 at the Cox & Son Funeral Home in Shawneetown from 4:00 PM to 7:00 PM. Her funeral service will be on Wednesday, April 10, 2019 at the funeral home starting at 11:00 AM with Rev. Randy Vaughn officiating. She will be laid to rest in the Westwood cemetery.